When they were built around 1560 - or perhaps even earlier - Sheep Cottages were one dwelling which housed the owner and his family, as well as their livestock. 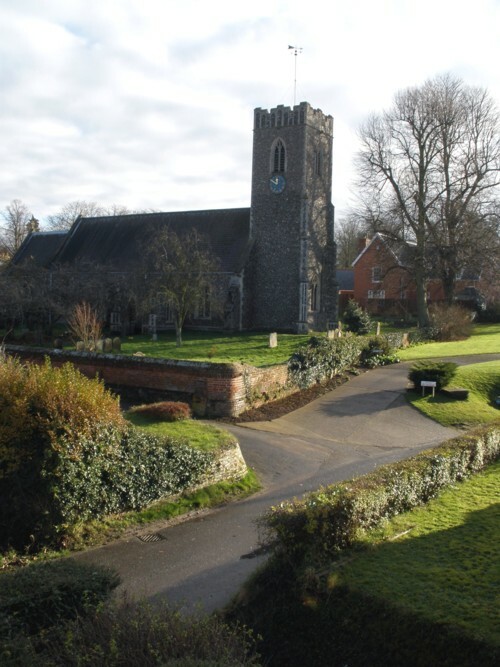 There is evidence that the building started life as a Suffolk Hall House, and is thought to have been associated with the wool trade, and thus with the splendid church which is close by. The building was converted in the early 19th century to the two cottages which we see today. In their time, they have been known to house a blacksmith's forge, a cobbler, one of the village bakeries and a market garden, as well as the local sweet shop. During the 20th century they suffered much neglect and inappropriate modernisation which resulted in severe deterioration of the fabric of the building. The recent renovations have repaired the oak frame and timbers and the infill of wattle and daub, and the building is now finished as it would originally have been, with lime render on the outside and with lime plaster infill between the wealth of exposed beams and studs on the inside.